Our Superior room is located on the first floor and looks onto the fountain-patio. 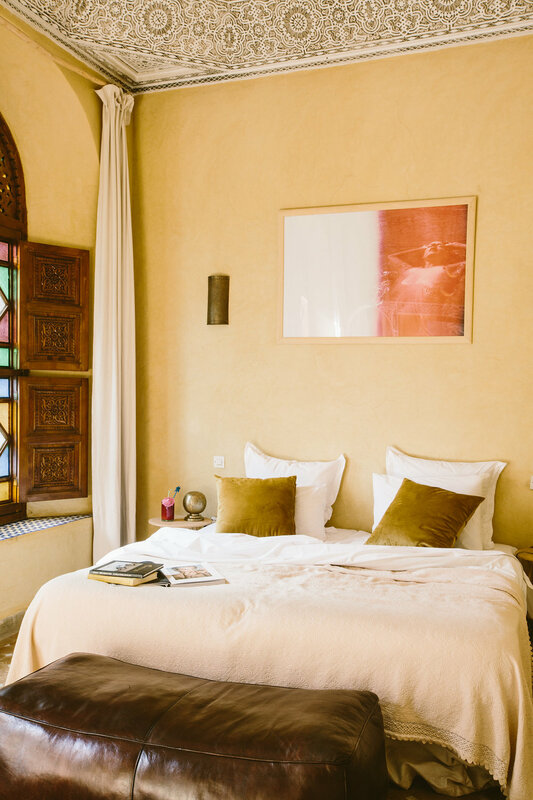 This room features a hand-carved plaster ceiling, a tadelakt room and bathroom with Zellige tilework. Cyrielle & Julien's personal and favorite books. You can choose the one you prefer during the booking process, and we will be happy to put it in your room for your arrival. 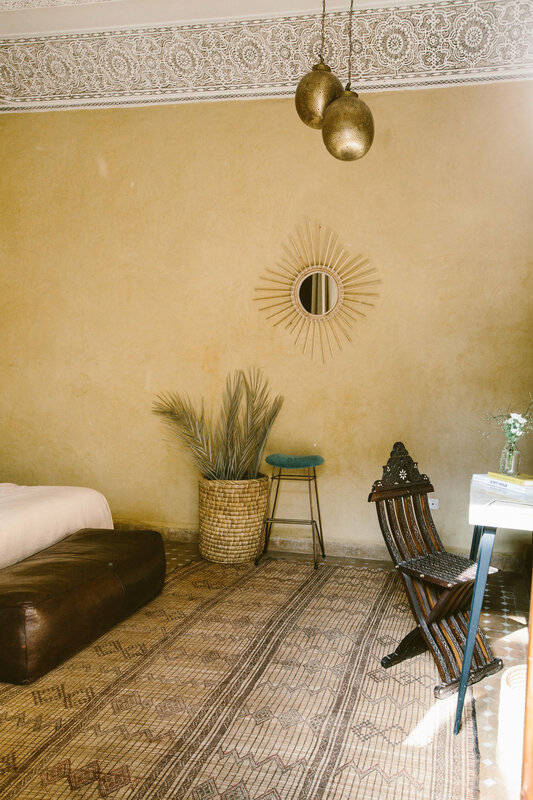 Riad Jardin Secret has a laid-back atmosphere. The organic forms and simple design reflect a sense of Moroccan history, inspired in the "anti-modern" way of life. We define "anti-modern" as the embracing of imperfection created by the tear of time. Dedicated to the authenticity and the unpretentious, the mystery of its past with the strong artistic personality of its present. Most of our furnitures and details are picked from the finest flea markets around Marrakech and from different craftsmen we work with. The careful placement of all objects and materials create a soulful, thought-provoking sophistication that redefines luxury.